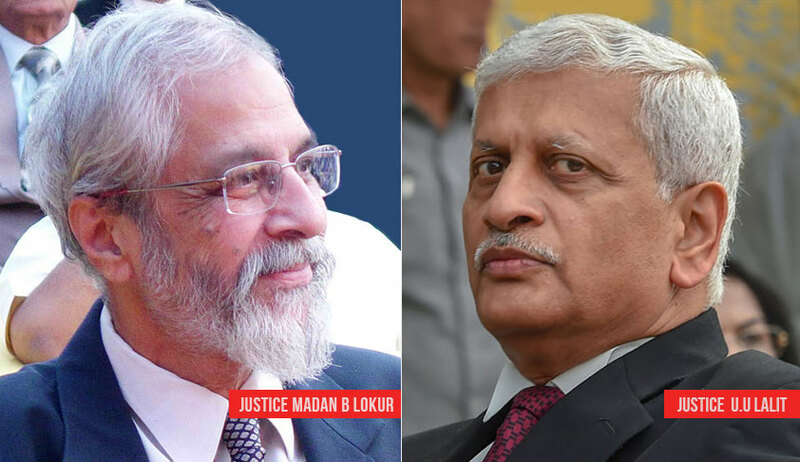 The Supreme Court bench comprising Justice Madan B Lokur and Justice Uday Umesh Lalit dismissed a plea seeking their recusal from Manipur fake encounter cases. These applications were filed in the writ petitions preferred by some police personnel of Manipur Police seeking quashing of certain oral observations made by the bench in Extra-Judicial Execution Victim Families Association v. Union of India. It was also sought that the bench should recuse from hearing these writ petitions which should be placed for consideration before another bench. In Extra-Judicial Execution Victim Families Association v. Union of India, the Supreme Court had ordered the constitution of special investigation team comprising CBI officers and ordered the registration of First Information Reports and investigations into the alleged extra-judicial killings in Manipur. The case is presently being investigated by the SIT. The bench is said to have made some scathing oral observations against the police officers involved in the case. The Attorney General also supported the plea seeking recusal and the submission that the Indian Army, the paramilitary forces and the Manipur Police have been demoralized by the observations made by the bench. The court said that the apprehension that the observations said to have been made by it on 30 July this year would influence the SIT is erroneous. “We do not find any basis for any such apprehension. The SIT is independent and so far, no allegation of unfairness has been made against the functioning of the SIT. Observations made by this Court or any court for that matter cannot impact on the investigations as long as they are conducted by professionals and we have no doubt that the SIT does consist of professionals who will not be swayed by any observations made by this Court during the continuing mandamus process,” the court said. The writ petitions have been listed for preliminary hearing on 26 November at 2 PM.